As you splendid readers well know, the Boston news media – from the Boston Business Journal to WGBH to Boston Magazine to WBUR to the Boston Globe – are on Store 2024 like Brown on Williamson. But not the Boston Herald. Sure, the feisty local tabloid has provided some basic coverage of the five-ring monte Olympic bid, but it’s not breaking news the way other local outlets have. 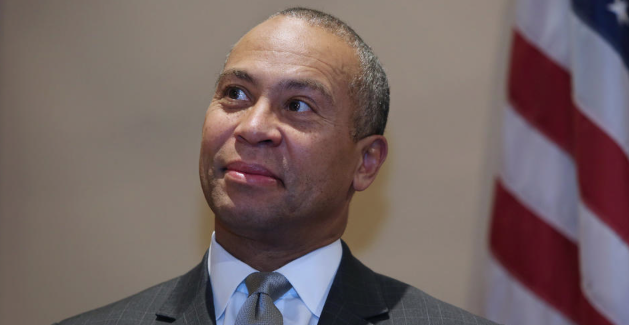 The Herald these days is more about Deval Patrick’s financial shenanigans. Exhibit A: Yesterday’s Joe Battenfeld column. 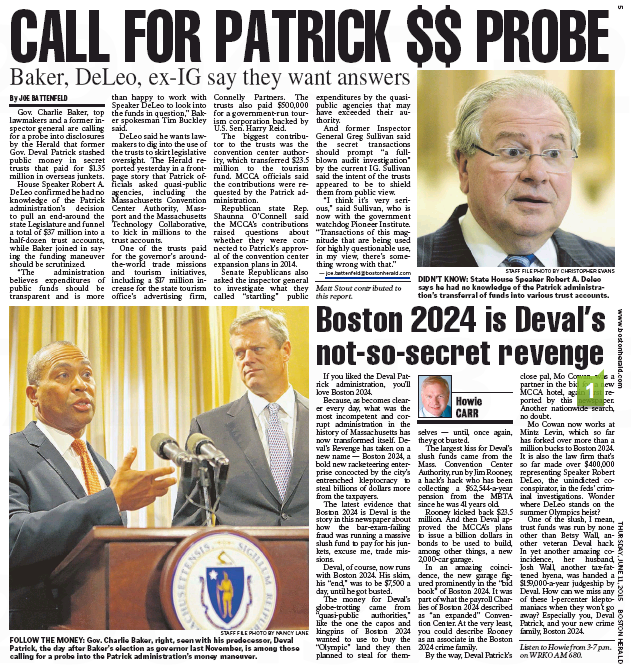 The maneuver to fatten the hidden “trust” accounts with millions from state quasi-public agencies allowed Patrick to skirt the state Legislature and evade state budget cutbacks during the recession, the Herald found. Exhibit B: Today’s Herald page 5 (with bonus Inexplicable Green 1). See? Even the paper’s Olympic coverage is part of its Devalue Pak. 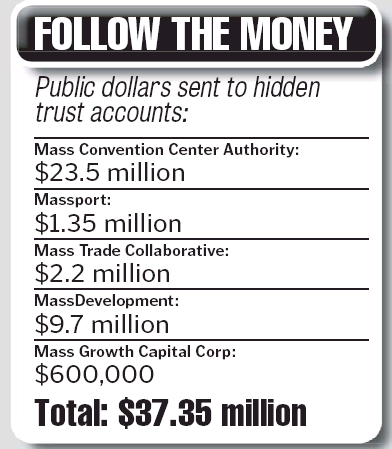 Meanwhile, the latest Boston NOlympics revelations include this in the BBJ, which suggests that those expecting the Massachusetts Bay Transit Authority to “save the Boston Olympics” Must Be Taking Acid. The Boston Globe contributes this front-page piece about Boston 2024 relocating the Widett Circle food wholesalers to the Seaport (one really smart person we know thinks the entire Boston 2024 effort is just a land grab to develop the New Boston Food Market site). The Globe also features this Metro piece about the full-court press on the Boston 2024 organizers to finally get down to specifics. WBUR also has a couple of new reports today about bigger Olympic footprints, and WGBH tosses in this piece about new venues and public relations. But the Boston Herald? Call it the shelfie local tabloid. This entry was posted on Thursday, June 11th, 2015 at 11:46 am and is filed under Uncategorized. You can follow any responses to this entry through the RSS 2.0 feed. You can leave a response, or trackback from your own site.